My knitting expertise is very basic – my speciality is straight lined scarves! So I thought, why not use my limited knowledge to make other items, too. Simple squares are particularly versatile – vary the size and use them as eco-friendly exfoliating face cloths, or place mats and coasters. 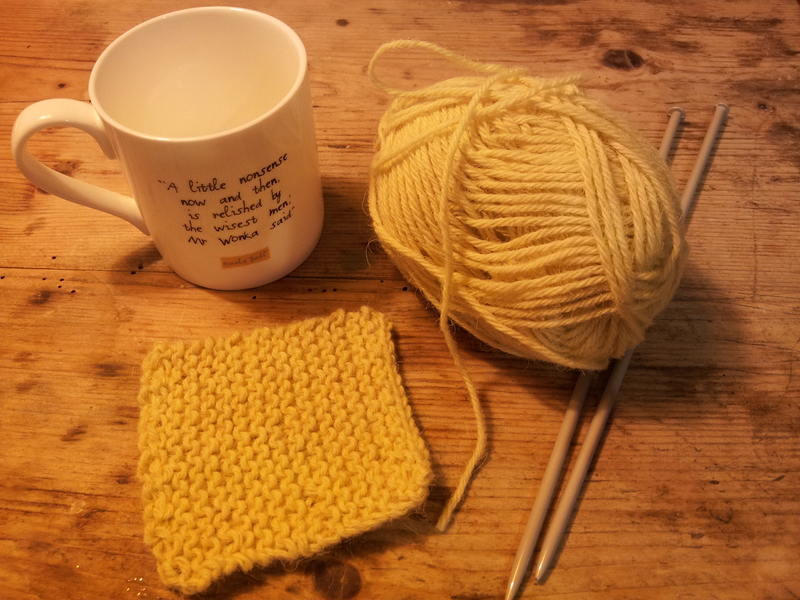 That’s what I’ve made here – a series of cute coasters, 15 stiches wide, by about the same rows, in basic knit stitch. I’m creating a set with a variety of colours to ensure nobody loses track of their drink when they come to stay.